Several ideas are made for the game over the years, but not all of them get added for various reasons. This topic serves as an archive for ideas that didn't make the final cut. A lot of the items listed here will never be added, though several might be someday. -Larger images are sometimes contained in spoilers. The fake big spender - Most users from the earlier era of Everybody Edits remember the fake big spender. 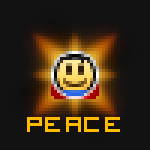 When the diamond block was first added to the game in 2011, it used to turn smileys into this instead of a diamond smiley. Because players could become big spender smileys without paying gems, users that bought big spenders were upset that their smiley decreased in value. Thus it was removed fairly quickly. Bunny - The original bunny smiley had ears that were too tall for smiley size restrictions. The current bunny smiley has shorter ears as a result. Bird - The bird smiley used to have a red string to fasten its beak. Angel - When this smiley was first added in 2011, it was originally supposed to have wings. Rpgmaster2000 was bugging Chris at the time to add wider smileys, but this didn't happen until TOOP continued this idea several years later. The wings were redone from the original, which had wings that were still too wide. 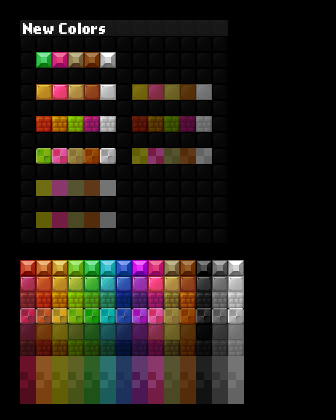 Stone Blocks - Looking to introduce a block pack to add more color for minimap artists, Rpgmaster2000 drafted an early version of the mineral pack, which includes a gray block and contrast differences that aren't in the final product. The gray was removed perhaps because the minimap colors were intended to be bright and saturated, and gray certainly isn't saturated. Sci-Fi - An early version of the Sci-Fi pack distinctly lacks one way platforms (because it was designed before they existed), also the computer screen blocks aren't as blended as the final ones. This pack wouldn't see the light of day until almost one year later. Rocks - Not much is known about these items labeled as "rocks" in the game files. 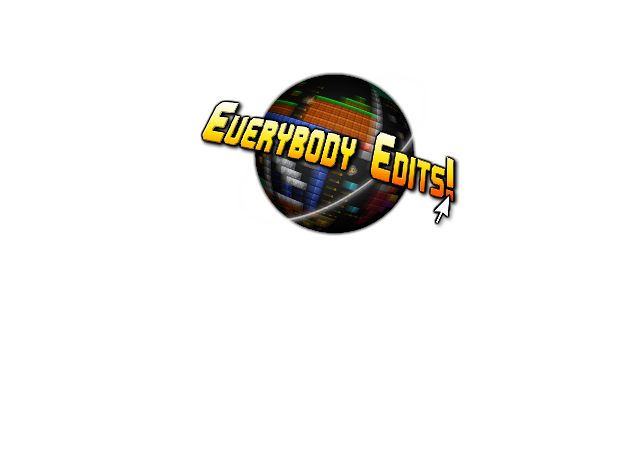 Presumably they are early blocks of Everybody Edits. Environmental Pack - A block pack made by Rpgmaster2000 that never made it ingame. It was still in development at the time this image was shared, but ultimately it was dropped. It later inspired the Environment and Arctic packs that are currently ingame. 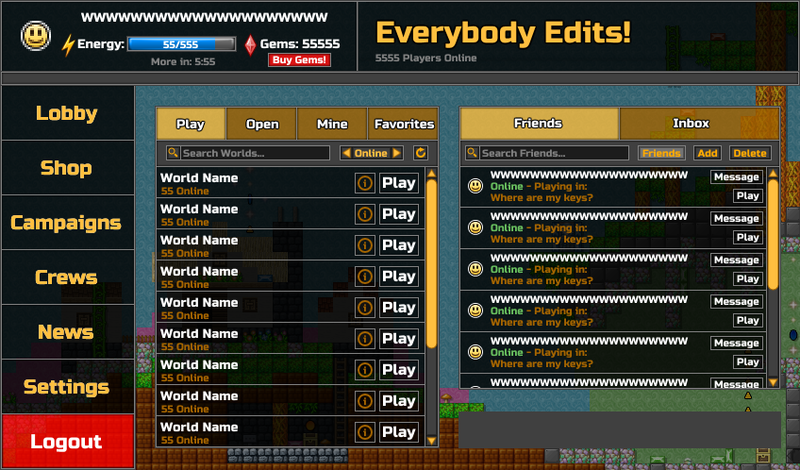 One Way Platform - An early one way platform in 2011 that was only in the game briefly for testing. Later this block type showed up in the Candy Pack. This early one way might have originally been in the Summer 2011 update, the wooden texture might have been to simulate boardwalks like in Summer 2016. Ice Block - In late 2011 this slippery block was added to the game files but never added to the game. It can be seen in the images files still. It looks like it was originally supposed to be on a layer in front of blocks to give any block a slippery function like so: . The long awaited ice block was finally done in another form in late 2015. Early Cowboy - RPGMaster made a desert themed update, including this smiley. It never got added due to width restrictions at the time. Desert Pack - A part of the desert themed update. 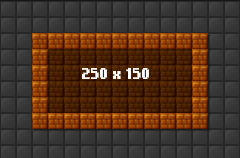 The brick items scaling is awkward, the width of the structure not being divisible by 16px. Early Glass Pack - An early version of the glass pack. 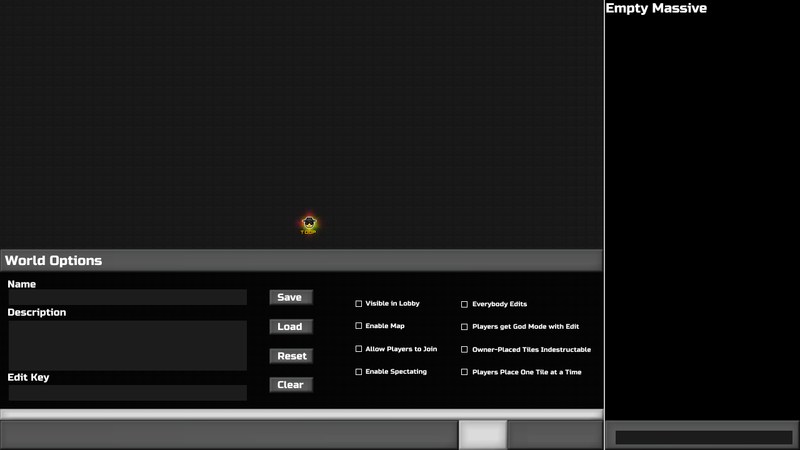 It has noticeably less colors and has a lower resolution. Early Gift Blocks - The Christmas 2011 update originally had half block versions of the gifts. This idea was revisited in 2016. Early New Years 2010 - The silver tinsel with glass orbs used to be made of garland. There also used to be an animated sparkler decoration. Little Boy - A child themed smiley in a propeller hat was proposed by RPGMaster. It was later remastered as the Propeller Hat. Little Girl - A second child themed smiley. It was likely cut due to width restrictions. Early Portal - An early vortex-like design of the portal, it was likely redesigned so that the builder could control the output direction. Variety Pack - In addition to the fence and grass decorations, the white/on light block seems to have been moved to the sci-fi pack. The sign and trampoline assets were likely recycled for coding the sign and boosts currently ingame. Early Red Ninja - The original shop description was "A worthy opponent of the black ninja." Apparently at the time it wasn't, because it had to be refined and re-added several years later. White Sand - A white sand block was originally made for the Sand Pack. A grey basic block can be seen as a placeholder in the blocks image. Medieval Block? - The original medieval pack had two blocks, the barrel and the anvil. An empty space in the blocks image suggests a third one may have existed. Mad Scientist - This smiley was in the shop momentarily as the mad scientist, though it was probably originally intended to be Frankenstein's Monster, or it was an early version of the Monster smiley. Moon Pack - No graphics are known for this pack, it probably included a moon textured block similar to the one seen in the current Outer Space package. Great Low Gravity World - A great sized world with low gravity, probably to compliment the Moon themed update. Lucky for you, you can replicate this by putting an effect in your great world. Green Wizard - Mr.Shoe's follow up the the Dark Wizard, never got added. Seemed to be a part of a green themed update [see below]. Green Coins - A new coin color, probably complete with their own doors and gates. Winter 2014 Pack - Before it was remade into a Christmas pack, the 2014 holiday used to be focused only on snow and ice and was a winter pack. Both the snow and icicle blocks were remade after this version, but the snow cap decorations remain almost as is seen here. Winter 2014 Smileys - Back when 2014 had a winter update instead of a Christmas update, the Winter Hat, Earmuffs, and Scarf smileys were the original trio. Part of why they were removed, other than the update being re-invited as a Christmas theme, was there was already a winter hat, earmuffs looked squished due to the fact smileys weren't able to be wider than 16 pixels, and the scarf smiley lacked in general. The scarf was added to the caroler smiley instead. Early Ice [Again] - Winter 2014 was originally going to also have an ice block, this idea was still around through the development of Christmas 2014, but what killed it was the lack of time and coordination the staff had to do this task in late 2014. Early One-Ways - The early rotating one way platforms had one major design oversight: you couldn't tell which way they were facing. This was fixed soon after they were added. Random Portal - As the name implies, you set a channel and it will teleport you to any others in that channel by random. This was just added to the current portals when an ID was shared among targets. Early Crown Doors - This was one idea that was considered as a part of the big update in early 2015. They were coded for the game but forgotten until later. Green Wizard - TOOP proposed a green wizard of his own that matched the original two. The idea didn't last half a minute before finding its way into the pile of unused ideas. TOOP later made the fifth and final magic smiley the Light Wizard. Rust Block - An unfinished block for an early package idea TOOP had. Football Helmet - TOOP rejected this idea early into development. Logo Design - In January of 2015, while the loadscreen was being made there was a breif concern that Mr.Shoe had lost the Everybody Edits Logo. TOOP made this one as a backup, and the original one was found shortly after [less than ten minutes later]. The logo also lacked quality, with evident shortcomings like the hideous anti-aliasing. Big World - NVD proposed a 250x150 world in 2015, which never happened. The image can still be seen in the level All Shop. The Big World was added later, with slightly different dimensions. 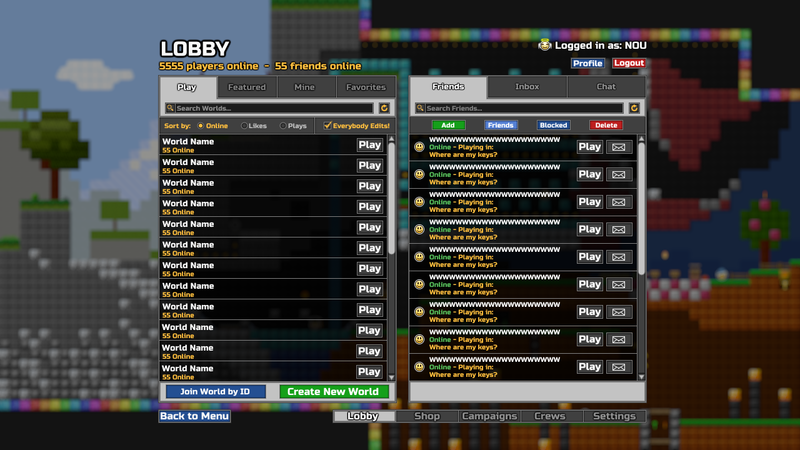 Solitude Effect - You would vanish, as if gone to lobby, and everyone else would vanish, even the chat. This was the one effect to not make the grade when potions were converted into effects [besides flaunt, which wasn't even considered for obvious reasons]. Environment Pack Version I - First completed draft of the pack. Had noticeably stronger embossing [as a result of mimicking the Factory Pack] and the snowy-mountain-rock-block was originally a water-smoothed stone. Environment Pack Version II - Second completed draft of the pack based on community feedback. Tree, stone, and foliage textures were refined, and the embossing was softened. Environment Pack Version III - Third completed draft of the pack based on community feedback. The stone was reformed into a structure of several stones on a single texture before being dropped in favor of balancing the hot element [volcanic block] with a colder counterpart. Honeycomb Block - Early block idea of Environment Pack [before Version I was finished]. In an attempt to color balance the pack with yellow, a honeycomb block inspired by graphics suggestion topics was made. The texture was unfinished [didn't even have faint embossing to match the other blocks] before it got scrapped. The yellow color was instead focused on the bamboo block that replaced this. Ice Action - Experimental idea of having the ice an action item like hazards. The idea did not get far, as it was restricted and could not work well with other items such as gravity. Ice Block - The last unused ice block, it was remade to be animated after this. Gold Smileys - The Gold Robot used to have a gear. The gold Knight and Gold Angel were both cut. The angel was quickly replaced by Gold Top Hat, the Knight was cut later because TOOP felt the quality was weak. Corner One Ways - Before half blocks were considered for the Domestic Pack, a special one way platform was made that had hit detection on two of the four sides. Luckily this idea was cut for not working too well with the game. Ramps - The Domestic pack also included ramps originally. It was decided that Ramps would be too difficult to implement in EE properly. Half blocks replaced this idea as they worked with the domestic theme a lot better by allowing builders to design compact furniture items. Mug - The Domestic pack originally had a mug with animated steam, but the idea of dish based decorations got cut in favor of tabletop decorations like the vase and lamp. The mug was briefly considered for the food pack later, but got cut anyways. Cushion Half Block - Before the domestic block was simplified to be more inclusive [it became porcelain to match the white panel block, but was general enough to easily be used for porcelain, wooden, or tablecloth furniture builds]. Textile Half Block - Another version of the cushion block from early Domestic Pack. The experimental design was quite a flop. Purple Wallpaper - Another wallpaper was considered for the Domestic Pack. A purple floral wallpaper design was started, but was scrapped early in development because it did not work well with the color palette of the rest of the pack. Early TV - Notice the larger amount of frames? The TV originally was intended to show off a capability of the new morphable items to have animated frames [Morphables first appeared in Block Revamps, but were originally supposed to be introduced and showcased in the Domestic Pack, which was delayed until after block revamps because of the prison painting background being re-used in the Domestic theme]. The animated frames were removed to simplify the pack for a quicker development, and the second channel from the left was replaced with the Fourth Channel in the final. 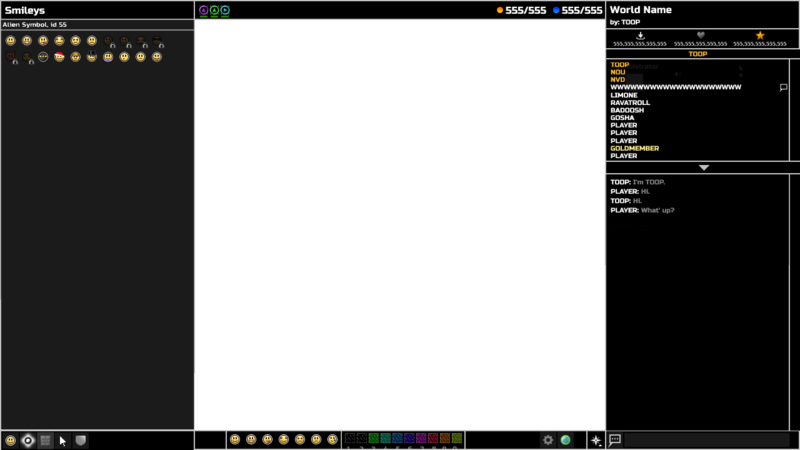 The second channel [SMPTE color bars] was cut because TOOP realized that only one working channel was available to world builders, and the pack used a 'four-morphs-per-item' rule that was originally supposed to be consistent for all morphable items, so he wasn't able to just add another morph at the time and it just kinda stayed that way. Genie - A glowing blue genie in a purple turban was planned for January 2016. It was made at the same time as firefighter, but unlike the latter it was scrapped in favor of the turban smiley. Music Contest - After the Loadscreen Contest, a music contest was considered. The prize was a maestro smiley with a blue collar and a golden music note trophy. The trophy was unfinished before this idea got scrapped, as the contest wasn't very inclusive and the winners would be highly predictable. Medallion Smileys - Generic contest prize smileys were considered for a few moments, but since they were restrictive and not too great of an idea, they got tossed into the trash bin. Sepia Aura - An early aura color that got cut. It was originally planned to be released shortly after Pink in early 2016. It was cut in favor of a brown aura color which has yet to be released. Time Trials - Campaigns were going to have time trials to beat as well as scoreboards for the fastest times. If a time trial was beat the badge would get a clock icon in the upper left. Orange Egg - In 2015, another egg was considered for the Easter 2012 pack, but it was decided that early classic packs shouldn't get extended. Early Angry Smiley - Not much to say about this one. Early Spy - Up until right before release, the spy used to have a trench coat collar, similar to maestro except more concealing. This was cut as it was decided that collars did not work well with smileys. Early Tourist - Same story as spy, except instead of a collar it was a Hawaiian lea. 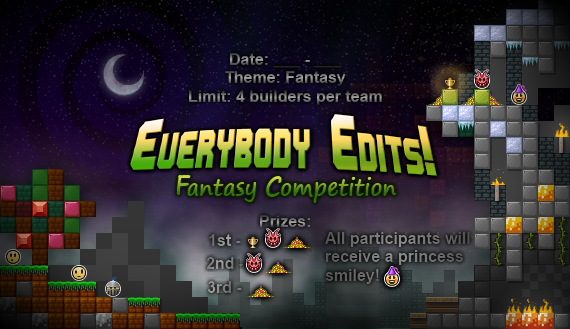 Fantasy Competition - In January 2015, the contest started development. Originally the prizes consisted of the Dragon Smiley for winners and Princess for participation. Gold pile slope decorations were also a part of the prize, and first place got a trophy too. The trophy was later redesigned to be less generic, by having it jewel encrusted: . A Fairy smiley was added to the prize list: . The Dragon was extended to have wings: . The contest was cut due to width restrictions of smileys, though the fairy was re-added to the shop later. Infection - The zombie effect was initially going to scrap the [arguably awful] idea of having smileys inconsistently become a hazard by renaming zombie to "infection" and providing an icon like curse or invulnerability. This was cut due to it looking too similar to curse and the staff vote leaned towards zombies being cool. The effects used to stack back when health didn't cure zombies or curse, it's still coded into the game but doesn't have an opportunity to work: . Smiley Decorations - Presumably cut for the same reason as Solitude Effect, there was a concern that these items distracted from the fact that EE was a multi-player game, and that other smileys are other players, not decorations. Rain - In the pitch above, a sketch of a particle emitter item in the form of rain was made for spring 2016. The hastily made presentation pretty much sums up the item. 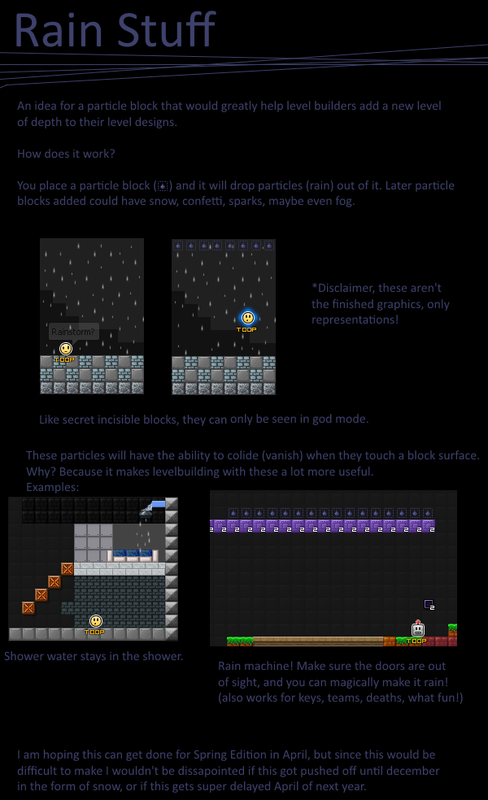 This idea would carry over to other particles such as confetti, snow, sparks, fireworks, and perhaps even more. Stripes - Ravatroll's stripe backgrounds were considered for an update, but they were cut indefinitely in favor of adding the tile pack. Halloween Trophy Redesign - The 2011 trophy was considered for a redesign around the time of the Summer Contest in 2016 in an attempt to make all the trophy designs match each other. This idea unanimously didn't get far. Early Summer 2016 Trophies - They were breifly considered to be like badges, but this was quickly changed to the design we all know today. Rockstar - A punk smiley with star glasses, it got cut due to quality issues TOOP had with it. Fire Demon Animation - Fire Demon was originally going to be animated with the revamps, but it was decided that animated smileys would be distracting and not work well with the game. Early Sick Smiley - It wasn't looking to well [in more ways than one], so it got cut. Toxic Pack - An early attempt at a toxic fluid planned for January 2016. It wasn't looking too great, and the gameplay that went with it wasn't anything too unique. Sky Backgrounds - Before the Mars background was re-purposed into the Neon Pack, it originally was a part of this pack. The sky backgrounds were cut for lacking quality and the gradient nature to them was a poor design choice. Fairground Pack - After ramps were cut from Domestic, this pack was designed to go into beta test to introduce ramps. The pack lacked in general, the designs weren't the quality TOOP wanted and the pack by itself wasn't as versatile as TOOP hoped that a fairground pack should be. The ramps rotated, and the flags were later redesigned to be two flags facing opposite directions [<,>,] and morphed four colors. The lights were to be animated and blink. They also morphed color: . To add more variety to the pack, TOOP decided to revamp it with more usable items, and did a rough draft of carnival food decorations that could be added: . The nail in the coffin was the fact that ramps would not work well with EE's current physics, and would be a nightmare to add into the game before it was streamlined. Extensions - A second block color extension update was planned for summer 2016, but it was cut because the colorful packs were already very large. The color extensions were all cut except for white. Puzzle Pack II - Never got far enough into development to have a badge made for it. Superhero - Not much to say about this one. Cut from January 2017 update. Steel Pack - Brushed metal texture blocks and backgrounds. Got cut in favor of tile pack. High Gravity - Makes you jump lower and fall faster. Got cut from January 2017 update. Solid Backgrounds - Pure saturated backgrounds, what could possibly go wrong? Shape Decorations - Some morphable decor for beta members to test... except it was a problematic idea. Rubber Blocks - A colorful pack made in mid 2015 that didn't make the grade. It was decided a rubber block should be instead made for the bouncy block, which is also cut, but indefinitely. Bouncy Block - Early bouncy block design started shortly after Ice was added. Got postponed indefinitely [along with the idea of a sticky block] as it had been decided to release with Unity. Early Scared Smiley - Before it was decided to be released as a free smiley on the Halloween 2015 update, the scared smiley was planned to be put in the shop. The gritted teeth, however, did not work so well to convey a scared gasp/scream, so it was instead used for the Sunburned smiley's template as the face conveyed having a painful burn fairly well. Early Halloween 2015 Smileys and Text - The ghoul resembled the early sick smiley, but was completely redone due to lackluster design. The bat's ears and wings were modified as well. Most interesting is the absent Grim Reaper Smiley, which was cut due to sub-par visuals [such as collision]. This smiley was supposed to act like the original Grinch smiley and be temporarily available as a magic smiley [though it would actually return yearly]. The idea of having holiday magic smileys was canceled in favor of campaign smileys, another reason this item never made it. Congratulations! You just found the Grim Reaper smiley! presence of death looms in your smiley collection. *SYSTEM: [name] has just become the formidable Grim Reaper! Congratulations! You have obtained the Eyeball smiley! earned yourself an exclusive Halloween 2015 smiley! The campaign was meant to return yearly, the inclusion of "Halloween 2015 smiley" was an oversight as it implied it would not appear in subsequent years. Early Eyeballs - The eyeball smiley used to be three separate smileys, a blue eyeball, a green eyeball, and red. This was before campaign were added, and the eyeball was going to be a prize for a Halloween contest, like the pumpkins. 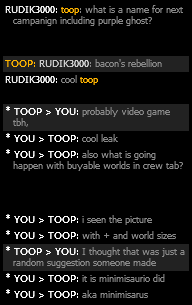 When campaigns were added TOOP decided it would be better to use it there, as contest smileys were controversial among the community. Unfortunately the image for this was lost. Journey Campaign - Included 5 realms of afar, but was cut because not enough users made basic worlds that can be presented as a campaign. Uncle Sam - A part of the cut Independence Day update planned for 2016, then moved to summer of the next year. The smiley is unfinished. Independence Day - To be released with Uncle Sam, the image above is a sketch of the items that were planned for it. It would have included morphable firework decorations that were range-based [like the Halloween eyes decorations]. Early Video Game Campaign - A medium campaign, including levels like Megaman Dash and some from lesser known community member. Then it somehow vanished from the trello. Unfortunately it wasn't written down anywhere else so the campaign was probably lost forever. Early Guitar Pack - When the guitar pack was started February 2015, this was the first draft of the interface. The pack kept getting pushed back and forgotten for two years after that. 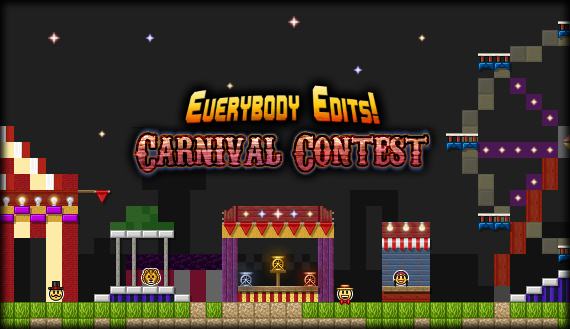 Carnival Contest - Originally planned for late 2016, then delayed until January, then delayed two more times before being cut entirely. The contest was to re-introduce smiley prizes alongside ferris wheel trophies. To compromise with people who were for and against the smiley prizes, they were to be one year early access for the winners, like how the Artist smiley was planned to be until it was voted to be permanent by the other staff. 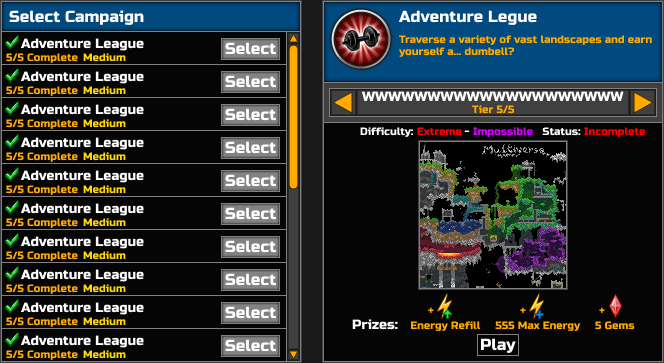 The difficulty was to be Medium-Hard to Hard, with emphasis on adequate game design. TOOP decided that the carnival smileys seen above were generally "incredibly atrocious" and planned on redesigning them from the ground up with the goal of making them "incredibly awesome." An anti-bot system was to be made for this contest, as it had been used as an unfair advantage in past contests, but it was ultimately unable to happen. On top of that, uncertainty of the future of the game with the development of Unity hindered the idea of the contest prizes and generally the contest as a whole. April Fools 2017 Death Animation - A death animation that played instead of the usual shock-wave animation as a part of an April Fools gag. Historical Contest - Replaced by the Carnival Contest, other than the theme and prizes the contest itself was similar. A trophy was never made for it, and the smileys are rough and highly unfinished. It was cut due to the smiley prizes [samurai, pharaoh, buccaneer] lacking in quality and the idea for the contest in general wasn't as fun as the carnival alternative. Smiley Variants - What Morphables are to decorations is what these are to smileys. Because a smiley idea can have multiple design avenues, smiley variants were made to diversify smileys and fix some problems [such as making the awkwardly named Fanboy II a variant of the Fanboy]. Not all smileys would have variants, but there were going to be a considerable amount. They would be selectable in the smiley menu like the aura is. The ghost variants were going to be unlocked in the four tiers of the newer video game campaign, one variant per tier, and the unit smiley renamed to cyberpunk. More Smiley Variants - A handsome groom in place of Bruce, Scarecrow, Knight, Dog. All unfinished of course, but the idea is there. Winter Pack - A concept sketch of a winter pack, including a snow covered shrub and fences, deep packed snow caps, snowflakes, and icicle decorations. City Pack - An unfinished large pack. It included several morphing decorations, including three pole types, each with a few morphs. The pack also featured ramps for the concrete and roofs. This pack would have had another draft before release, but was put aside for the same reason the Fairground Pack was. 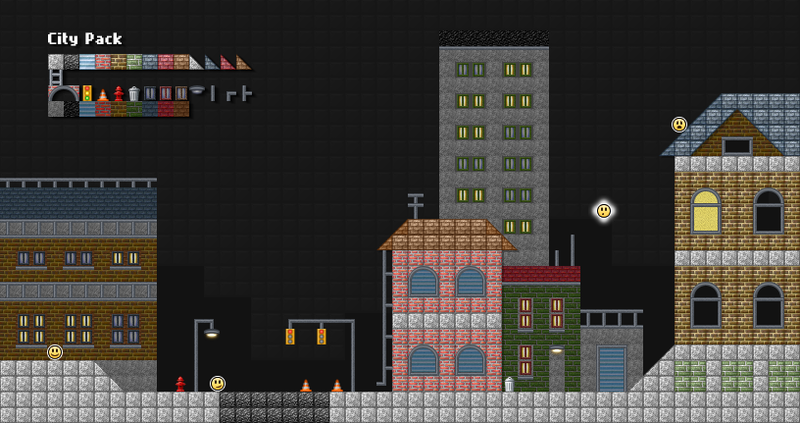 City Pack Version I - Earliest draft of the pack from February 2015. It wasn't far into development, with obvious flaws such as poor lighting and missing items, decorations hadn't even been started. Quoins - Masonry for the sides of buildings, originally a part of an earlier draft of the City theme, but was cut indefinitely, perhaps to be a part of another theme [like how the traffic cone moved from City to Construction]. Sign Decoration - Also for the City Pack, the sign would have morphed into other common urban signs. It was scrapped early in development. 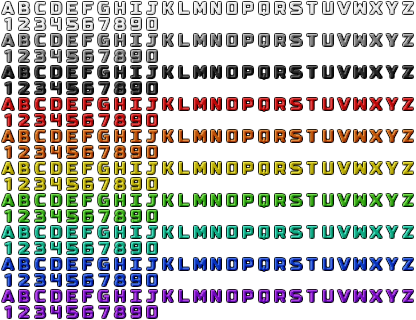 More Sign Colors - The finished array of signs would have included several more colors [resembling the colorful packs] after a couple of extension updates. 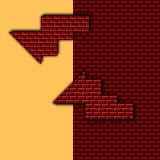 However, this idea was scrapped when the signs variants were made morphable instead of being separate blocks. There was miscommunication about how morphable items were to be handled, resulting in this mistake. This is also why Gold Membership gets a morph to an item instead of simply getting a gold sign item, which would have been more intuitive. 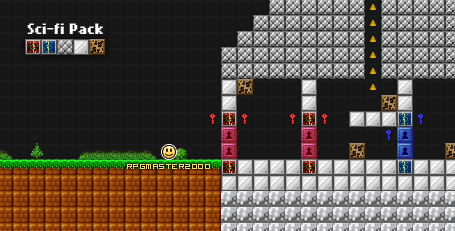 Text Decorations - Although admin labels can't ideally be given to the community, as they are not restrained to the tile they are placed, laggy, and other issues, these decorations were created to allow builders to place single characters as a decoration on a tile. It would have needed an interface as it is a new type of item with way over ten variants. Each color would have been it's own item ID. The text wasn't finished, but this is the latest draft available. Gemstone Pack - In 2017, due to all the items in EE, the staff realized that diamonds had severely decreased in value [especially with items like hologram]. To combat this, people who bought diamonds would also obtain this exclusive pack with ten blocks and ten decorations. It wasn't finished and left on the backburner. Bricks Concept Art - A sprite sheet of brick variants. The idea was every block would be a repeating texture/material, and be able to become a half-block or ramp. Shadows and Ambient Occlusion - Another concept art for Unity. The idea behind this was to differentiate blocks [depth] and backgrounds [no depth] without having to emboss the blocks like EE currently does [inconsistently]. The blocks would tile, and the depth would be created with ambient occlusion surrounding the blocks and cast shadows. Interface Draft - Highly rough and unfinished and outdated, still missing lots of ideas and designs [TOOP isn't even gold in the chat >_>]. Other ideas were intended for it, such as different editing tools. There were also lots of other interface proposals and development done by Koya, TOOP, and even Nou helped quite a bit during that era of development, lots of which were rough like this one. ▼A few more interface spitballs done by TOOP with assistance from NOU and whoever else chimed in. I'm sure there is more cut content. Feel free to share reliable information here. Also not all cut content is graphical, if you know features and other assets that didn't make the grade feel free to share. Please feel free to update this post with new reliable information when needed, forum staff. i want high gravity block. Does anyone else think a lot of the smiley designs that were considered terrible are actually pretty good? Or do I just have low standards for smileys? Nothing in my hints and leaks topic can even compete with this majestic delivery of a delicious infodump! Will animated smileys ever be a thing in flash version of ee? I like Fire Demon animation. It would be better if added. I agree that they're pretty nice, for the most part it's just that I know I can do better and strive for improvement. It's pretty much relative to what I expected of myself at the time they were discarded. I might have to look into that or get someone else to ¯\_(ツ)_/¯ , and see about how it would translate into other ideas that got adapted since then. Well, I have talked to virtually every single staff member EXCEPT you about it, and I was either ignored or told "im not the person who does campaigns." Do I remember wrong or was I there building that airship with you for the steampunk loading screen? What was wrong with time trials? i literally asked for it 2 days ago and you said "na dude lol"
also I agree with skullz. If there is nothing wrong with time trials, you guys should definitely re-consider it. Since people don't really build levels anymore, the people who play them don't have much to do, so if they can find motivation to play the game through competition, that'd be great. EDIT: Environmental Pack is in the OP, but I just found these on one of my USBs. Hello! I've been playing ee for a while, and like giving input! I know this wasn't meant to be taken 100% seriously, but a lot of these are the very last things we need. We have far too many generic smileys and blocks, we do not need any more. I think most of the ideas should be implement in the game, little by little. There are very cool stuff there ! 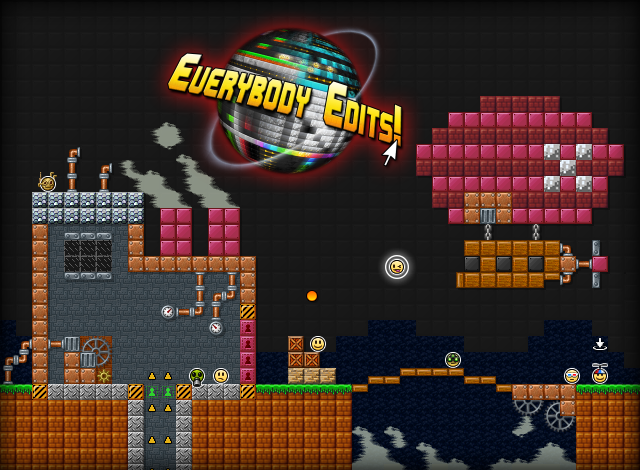 Smiley décoration to create story world, new blocks and campaigns... If you have them why don't use them ? I think that this list is really great, not just because it has a lot of interesting things, but it also demonstrates that even though updates are sparse, the game is still developed. If there could be more frequent posts like this (about what is being worked on, concept images, etc. even if its not ready for release yet) I think that'd assuage a lot of the concerns that people have. So much potential, I like the variant idea..
Should have a BIG update and add a bunch of this stuff. Environmental Pack is in the OP, but I just found these on one of my USBs. Yeah, you were there at the time. The packs with ramps didn't get added because of the current physics in EE. So there's a possibility they will get added later.